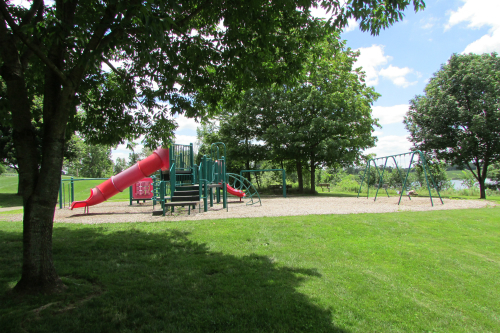 Located in Guilford Township in Medina County is Hubbard Valley Park. 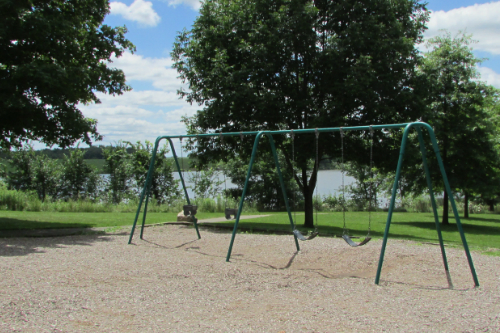 The large park consists of multiple nature trails a large 21 acre lake and a small playground. It's typically less crowded that some of the other popular parks in Medina County and it's a great place to spend the afternoon. 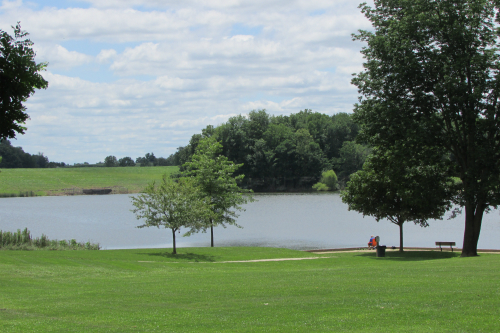 A large 21 acre lake, complete with a fishing pier is at the center of the park. You can either fish from the pier or from the shoreline. Helpful Tip: Those ages 16 and up need a fishing license to fish at Hubbard Valley Park. 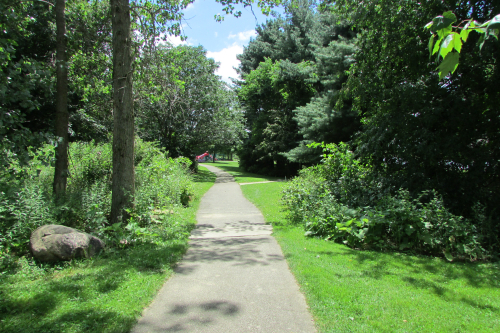 The nature trails provide a beautiful walk as they wind around the lake, through the meadows and wooded areas. It's beautiful any time of the year. 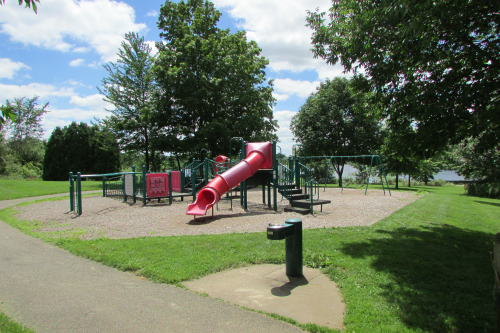 In addition to the nature trails, there is also a half mile paved walkway that makes it way by the play area, pavilion, through the fields where the sledding hill is and to a bridge that leads to the nature trails. This is a great park if you want or avoid the congestion found at most other central Medina city parks especially during the summer and grade school spring break. The main trail is a perfect mix of woods & sunshine along the lake, and it's a great length for my young daughter to hike. It's never crowded and it has lovely changes with the seasons. You can easily see the play ground from the main fishing spot (fishing pier). There are trees around the playground, but if you come during the middle of the day, bring sunscreen because it will be in full sun. 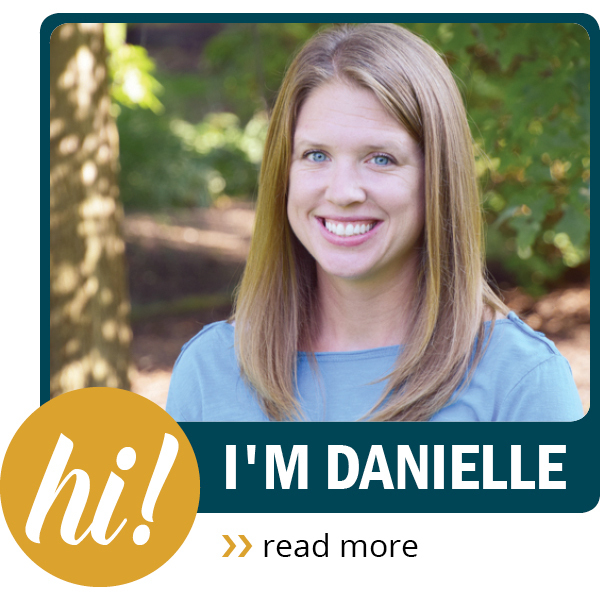 If you plan to fish, keep in mind that anyone 16 or older needs a fishing license. 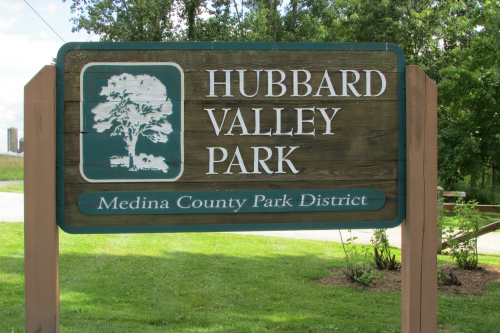 Have Tips to About Hubbard Valley Park to share? 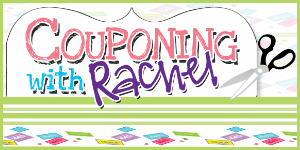 Leave a comment below to let us know. Thanks! Those ages 16 and up need a fishing license to fish at Hubbard Valley Park. Thanks for the clarification! We’ll add that note to the article.